Bryce Hilliard is an eighth grader at Farmwell Station Middle School in Ashburn, Virginia. Ever since he visited the ISS Research & Development Conference in 2017, he has used Space Station Explorers programs in his quest to improve space education for everyone! See his progress in this series of updates. Bryce Hilliard used a hydroponic system to grow tomato plants from space-flown seeds. My name is Bryce Hilliard. I am a 7th grader at Farmwell Station Elementary School in Ashburn VA. Last summer I was able to attend the ISS R&D Conference in Washington DC. I got to meet you there and you suggested an experiment for me with Tomatosphere. I have been growing the seeds hydroponically and studying the plants in a greenhouse in Virginia. I just wanted to share this picture with you and let you know that I am enjoying researching and observing these plants. I hope to see you again! Bryce Hilliard answers interview questions at Kennedy Space Center Visitor Complex. My first Tomatosphere project ended prematurely, but it was still a great experience. I was volunteering at a hydroponic farm in Virginia. I planted seeds from both of the packets that Tomatosphere sent me, so some of the seeds had flown in space, and some of them stayed on the ground. In my experiments, the seeds that flew in space grew faster and had more blossoms. I kept the plants growing and they were doing pretty well, but just when they really started blossoming, we had an Arctic blast in Virginia, and all the plants in the greenhouse died! I don’t have any seeds left, so I’m waiting to get new seeds next year. With my next batch of Tomatosphere seeds, if I get the same result as last time (that the plants from the space-flown seeds grow faster), I want to see if that characteristic continues over multiple generations of the plant. I also want to look at the plant cells under a microscope and see if there’s a difference. And of course I want to continue learning about rocketry and all things space! 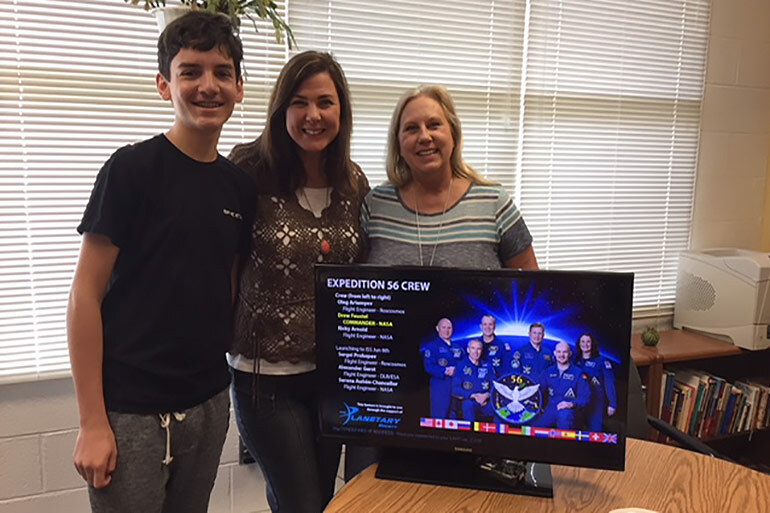 These Space Station Explorers programs are supporting Bryce's Space Dreamers organization by providing educational resources and spreading the word. I wanted to let you know that I am having great success with my Space Dreamers Organization. It is a nonprofit for improving space science education. I have been getting amazing support from ISS-Above, Tomatosphere, and Higher Orbits! Currently my plan is to pilot these three programs in 10 schools and build from there. We will have space science for every student every day of the school year! My school is allowing me to transform the school cafeteria into a Space Station! We will have an ISS-Above unit that flashes brightly when the ISS is passing over our school, and a 6-foot screen showing current information and live video from the Space Station. I will send pics when everything is installed. So far, Bryce has installed ISS-Above units in classrooms and common spaces at six schools. I have been so busy preparing for Back to School! This summer I have been working with 6 schools’ principals to pilot my Space Dreamers Organization! We will be bringing space science to over 8,000 students and 1,800 teachers! 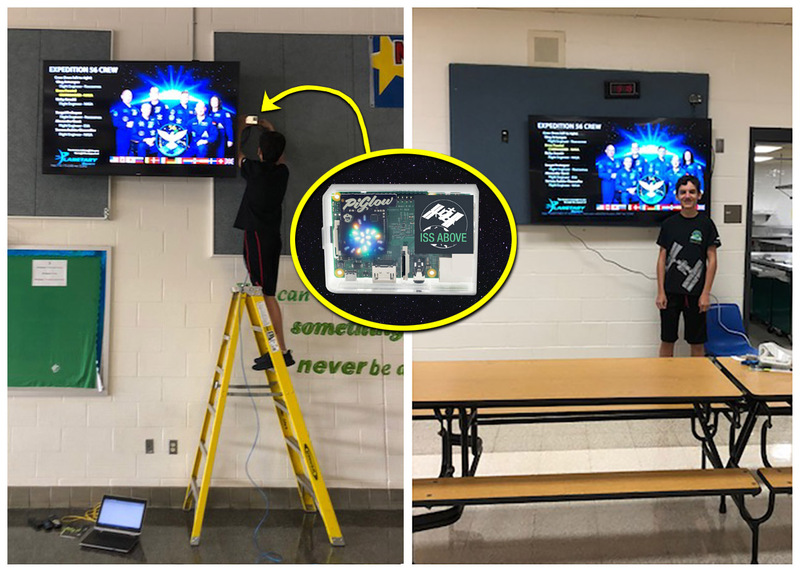 I am transforming these schools’ cafeterias and entranceways by installing ISS-Above kiosks so students can see live views from the Space Station every day. I am planning hydroponic gardens to study Tomatosphere plants and helping the school libraries order more space-related books, including Story Time From Space books. I am even helping my sister’s elementary school design a new STEM Lab! I have been invited to meet with groups of teachers before school even starts, to help brainstorm and prepare. I am trying to reach every grade level and every subject. I am training the teachers on how to find the Space Station in the sky so they can share it with their classes. I am even introducing the gym teachers to NASA’s Train Like an Astronaut activities, and they are excited that they can teach space science too! 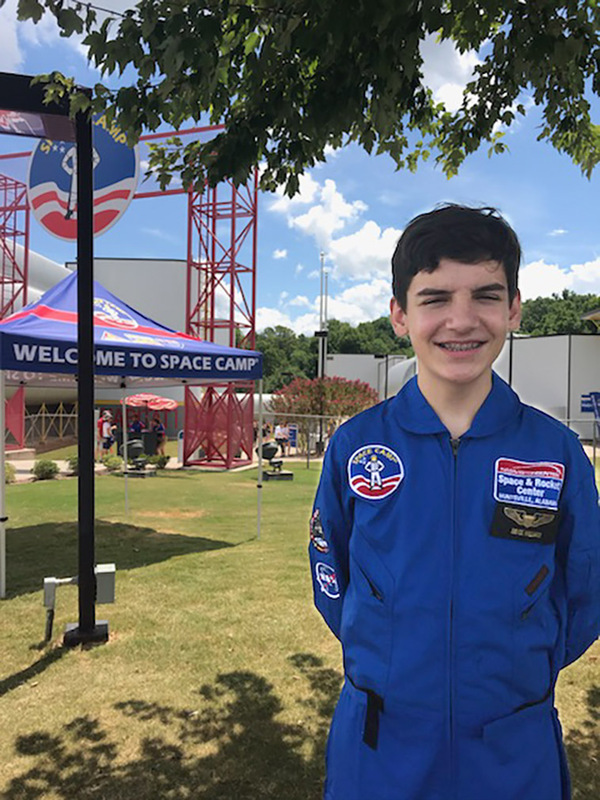 And… I am going to Space Camp in Huntsville the first week in August!!!!! 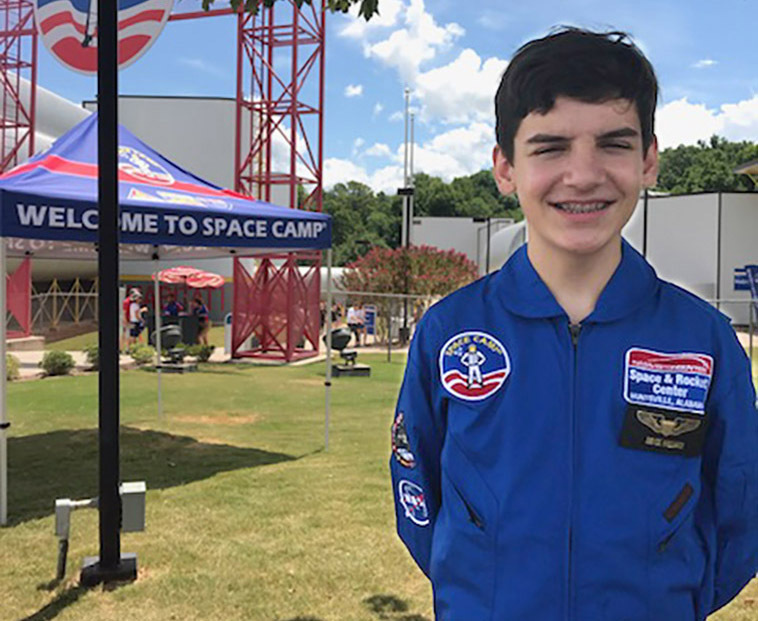 In August 2018, Bryce Hilliard attended Space Camp at the U.S. Space & Rocket Center in Huntsville, AL. Things have been amazing this summer! Bryce just got back from Space Camp. He was so tired, but he has not stopped talking about his time there! He especially liked the simulated tanks, trying to screw down equipment with everything floating away, and simulated dark times! 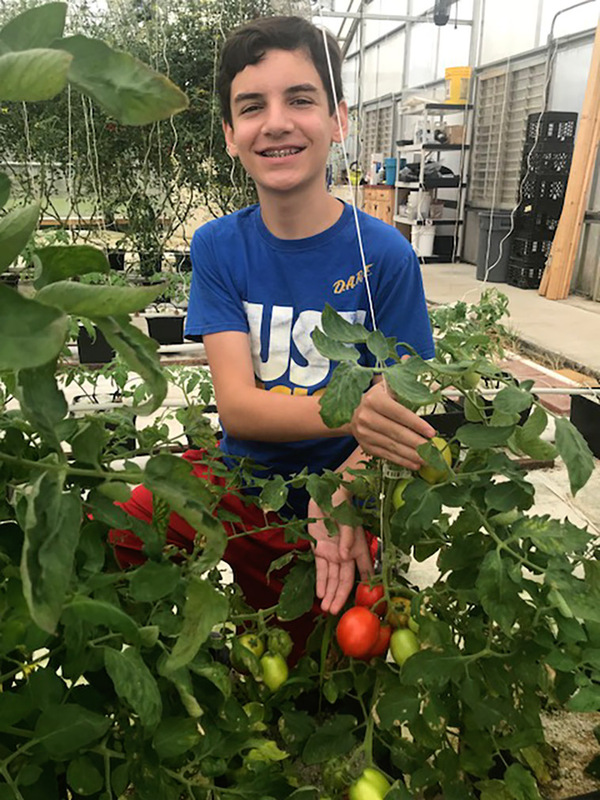 He is also getting a batch of space tomatoes together to go advocate for Space STEM programs on Capitol Hill! This free program lets students experiment with tomato seeds that flew in space. Includes resources and lesson plans about experiment design, plant biology, agriculture, and more. A simple device that brings the Space Station live into your home or classroom every day! Free curriculum available with 8 activities. 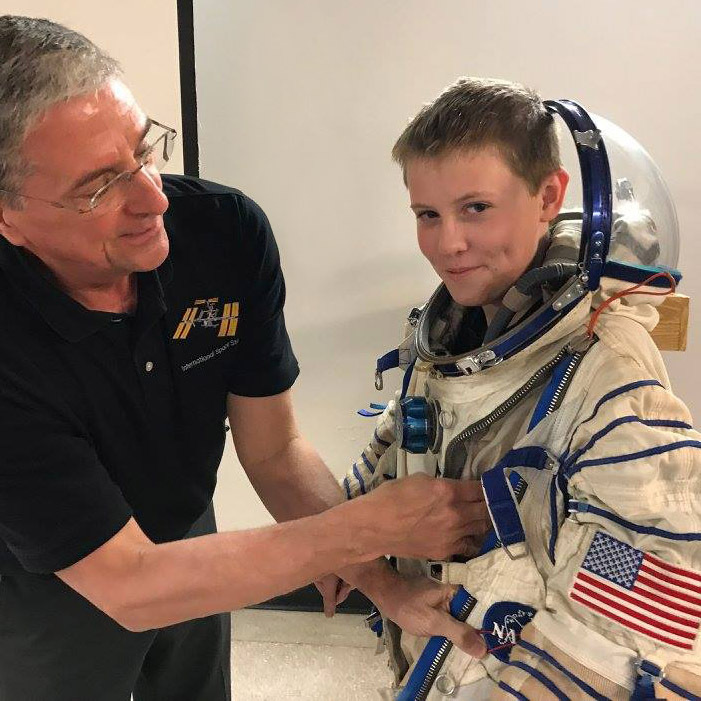 More about the Space Dreamers program led by eighth-grader Bryce Hilliard. 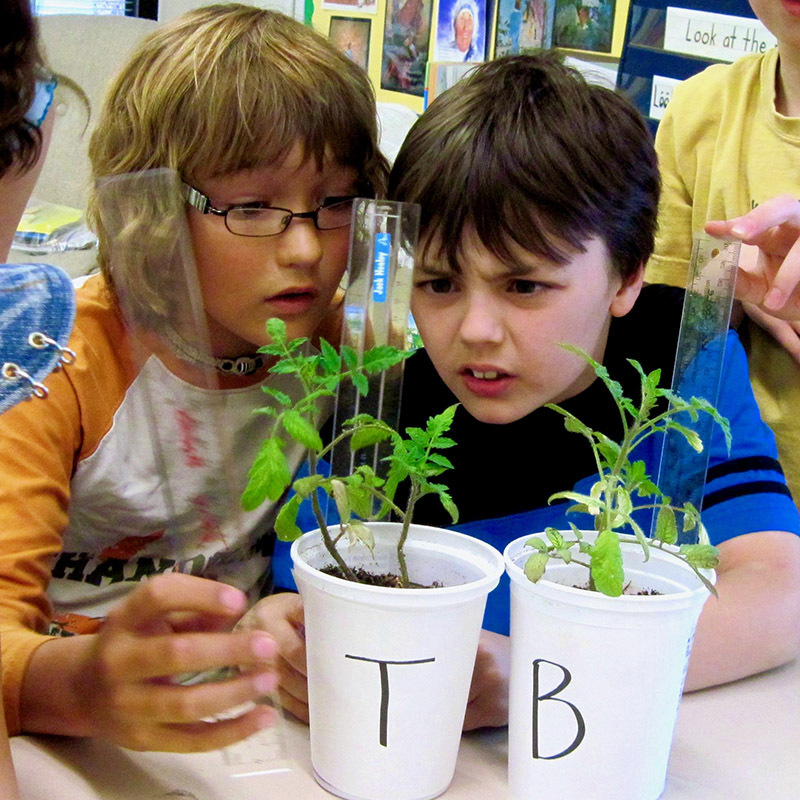 Right now, space tomatoes are growing in thousands of classrooms across North America. 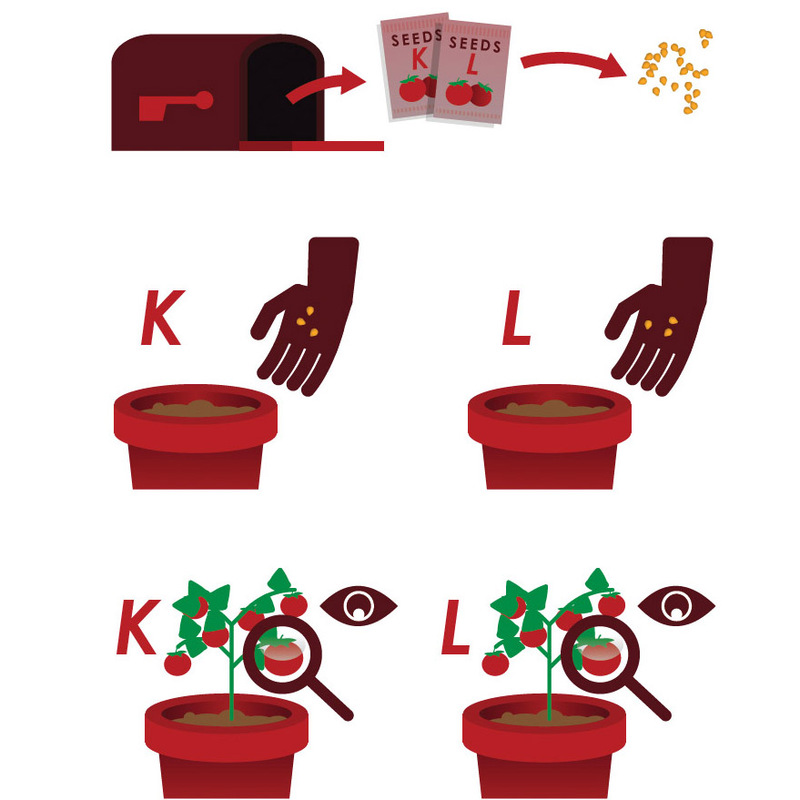 Learn about the Tomatosphere program, its origins, and its future trajectory. In this program offered by Higher Orbits, build teamwork and leadership skills while competing for the opportunity to send your experiment to space. 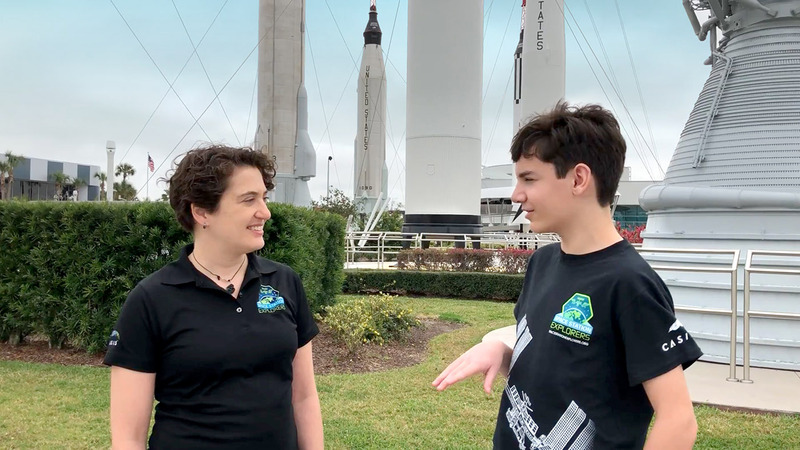 Currently an eighth-grader at Farmwell Station Middle School in Ashburn, Virginia, Bryce is a huge space enthusiast and the founder of the nonprofit Space Dreamers, which seeks to improve space science education for all students.